What are Konjac Shirataki Noodles? Konjac Shirataki noodles are made from the root of the Konjac plant (similar to yam). The primary component of the konjac root is glucomannan which is a water soluble dietary fiber. It can be made into konjac glucomannan foods such as noodles, rice, pasta, jelly (konyaku), etc. Shirataki noodles are translucent and gelatinous. They come in various styles such as angel hair, fetuccini, rigatoni, penne and linguini. Although tasteless, they can easily absorb the flavours of any soup, dish or sauce. Glucomannan in miracle noodles is a highly viscous soluble fiber that slows the digestion and absorption of glucose and carbs. It prevents spikes in after meal blood sugar and insulin levels, thereby improving glycemic control. Bile acids secreted from the gall bladder have cholesterol. 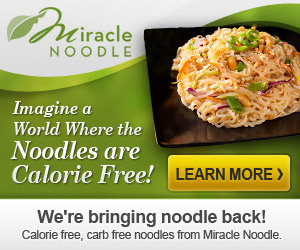 Soluble fiber in miracle noodles binds to bile acids in the digestive tract, which are then excreted from the body. This helps to lower bad (LDL) cholesterol in the blood. Shirataki noodles and pasta are a low/no carb, low/no calorie alternative to regular noodles and pasta. 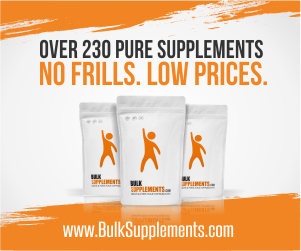 The high soluble fiber expands many times its size when coming into contact with liquid in the stomach, thereby creating a sensation of fullness and satiety. They are ideal foods for people on a low carb diet or to be consumed as part of a healthy and calorie controlled diet to support weight management. Glucommanan act as a prebiotic fiber that stimulates the growth of bifidobacteria and lactobacilli. By increasing the concentration of these bacteria, glucomannan promotes bowel movement and helps to relieve constipation in adults and children. How to Cook Shirataki Noodles? Shirataki noodles are pre-cooked and packaged in water. To prepare, drain the water and rinse noodles in a colander thoroughly. Place noodles in boiling water, let them boil for a minute and drain well. They can be used in stir fry, soup, salad and as pasta. Available at supermarkets, Asian grocery stores and online. Check out this site which offers a variety of Shirataki noodles, pasta, rice, konyaku jelly and konjac flour.